History of the Ticker Tape - "The Tape Talks to those who Listen." 1, Aggressive Investors - Bullish "Breakout Stocks"
Ideally suited for bull markets and special situation stocks. Potential for large returns. Ideally suited for entry into top performing issues looking for a small quick profit with a few sessions." Ideally suited for entry into top performing big cap stocks on pullbacks within overall up trend. Covers portfolio of 20 stocks. "Breakdown Stocks" to Sell Short. Ideally suited for bear markets or market pull backs. Potential for good returns, when longside shuts down. 2. Morning - (11:30 - 12 A.M.) - Check Breakout stocks on TTD's Custom Rolling TickerTape and Breakout Tape with Stock Charts. 3. Midday (1 P.M.) Check TTD's Midsession Report and Watch our Stock Market Video show with Day's Current Leading Breakout Stocks. 4. After the NYSE Close (4 P.M.) Check Final TTD Report for day that includes All Breakout stocks to the upside and Breakdown Stocks as Short Plays. How High is the Sky? You Might Be Surprised! 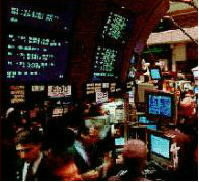 Ticker Tape Digest Inc. publisher Leo Fasciocco is a well-known investment columnist and author. He appeared frequently at the Money Show conferences held in Orlando, Las Vegas and San Francisco. His articles were used in the books - "High Performance Investing," - "Focus On Equities" - and "The Encyclopedia of Stock Investing." These books can be purchased by contacting Ticker Tape Digest via email or phone. He is also president of	Corona Investment Management Inc., a money management firm specializing in equity investing. The accounts managed have done well. Mr. Fasciocco's investment articles also appear at eSignal.com under the Exchange Report which goes out monthly to some 30,000 readers. The articles cover a variety of investment strategies. He also	gives private investment workshops and private consultations. 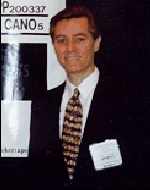 Mr. Fasciocco has appeared on TV and radio shows around the country. He is available for consultation and questions. Email Beverly	Owen at owen@tickertapedigest.com. You can call our office at 480 -878 -8381 or at 480-704-3331. If Your wish to write we can be reached at Ticker Tape Digest, 1220 West Sherri Drive, Gilbert, Az. 85233. 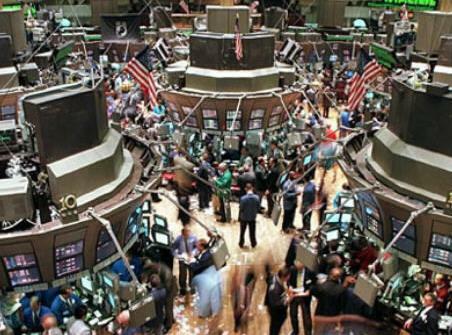 "We've made a lot of money using TTD,".....senior vice president at major brokerage firm. "I think it is just terrific. The tick volume work helps me to have more confidence in knowing when to buy and sell,".... money manager. "The TTD slide shows and day trade page are great. The midday narrative gives me greater insight as you interpret the charts. I really enjoy the service and hope it continues in the years to come. "....Joe M. of San Francisco. A unique Web Site dedicated to providing timely investment and educational information not found anywhere else! At Ticker Tape Digest we believe ... "The tape talks - to those who listen." Ticker Tape Digest provides sophisticated information for the investor who wants to have the edge. Our service is presented so the average investor can learn quickly. A big help is Ticker Tape Digest�s multi-media show on our sample TTD pro report. TTD is an important Internet Investment Resource site. TTD's premier service - Available to subscribers only. Cost $100 a month for about 20 daily reports a month. TTD's premier "realtime market report" that comes out about one hour before the close allowing subscribers to get a"winning advantage." It also includes intraday updates on our flash ticker and a sensational 15 minute mid-session multi-media show giving you the hottest stocks on the tape that are ready to be bought. A breakout watch list to use prior to the stock market's opening. A list of quick trades that feature an 80% win rate. A great report used by many professional investors and money managers. Stocks showing major accumulation and ready to breakout at any time. The TTD Pro Report also gives a list of "leading stocks" poised to breakout. This is a powerful list of potential big winners. It also has a list of "Quick Trade" candidates. The list is posted before the market's opening. These "Quick Trades" are played for 1 to 3 days in most cases. Their win ratio is 80%. Available to subscribers only. Cost $39.95 a month for about 20 reports a month. The stocks are analyzed with regards to their earrings growth and accumulation and distribution patterns." The TTD Report is streamlined and comes out approximately an hour before the close to give subscribers a "winning edge". This powerful report can get you into leading stocks at the "critical breakpoint". It also includes a list of "leading stocks" poised to breakout. It does not have the TTD Pro midsession multi-media show, nor the "Quick Trade" preopening report. The TTD Stock Market Video slide show is included with no cost with the TTD Professional report. The TTD Stock Market Video Show with commentary comes out around midsession. TTD presents a run down of stocks showing significant moves and a general market analysis. "Strategic stocks": A look at one of the best long-term stocks. "The Spotlight Stock": A close up analysis of top-performing stock. "TTD's Educating Investors": A lesson on how to invest in stocks better. TTD gives a "special course" to help investors get a better understanding of fundamental, technical and strategic principles. Subscribers and visitors can leave questions or comments dealing with investments. Our E-mail address: Michael@tickertapedigest.com. How to use the Ticker Tape Digest Report to find exceptionalstocks. Performance of Stocks Highlighted in TTD�s special report. Cost: Free - compliments of Ticker Tape Digest Report. Contains over 75 educational lessons and multimedia shows on how to invest in stocks. Tips from some of the brightest minds in the investment world. Thank you for visiting TTD. If you have comments E-mail us at owen@tickertapedigest.com. TTD is an Internet Investment Resource Site. We do not recommend any specific stock. Readers should do research. All articles and data at TTD's Internet site are copyrighted. All rights are reserved. Any reproduction requires written permission from TTD. TTD takes no responsibility for investments made by readers. Ticker Tape Digest Inc. is associated with Corona Publishing Enterprises.